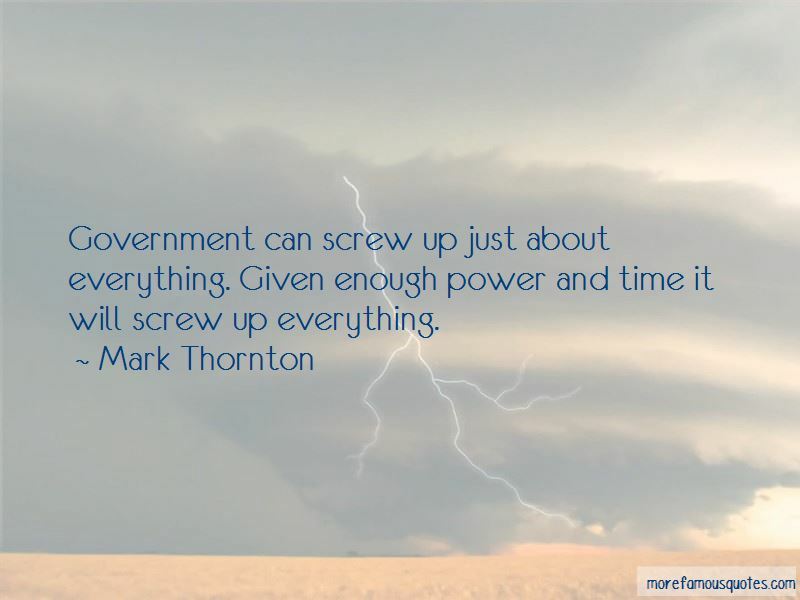 Enjoy the top 3 famous quotes, sayings and quotations by Mark Thornton. Government can screw up just about everything. Given enough power and time it will screw up everything. The new puritans have been highly successful. All of the preconditions for new prohibitions on alcohol and tobacco are in place ... Indeed, the future agenda of the federal government has already been established to outlaw alcohol and tobacco in the near future ... If current trends persist, America will be moving toward stricter prohibitions, greater restrictions, and more centralized control over consumption. This represents an erosion of liberty at its most fundamental level. 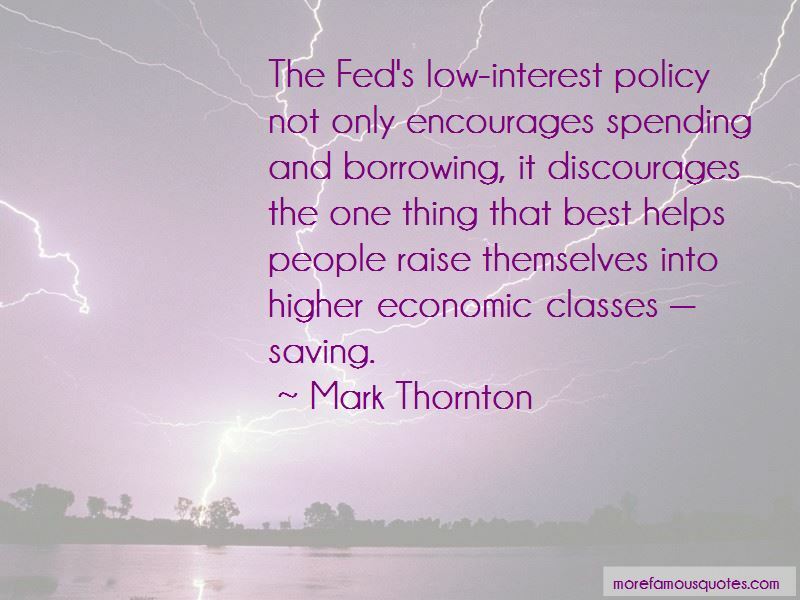 Want to see more pictures of Mark Thornton quotes? 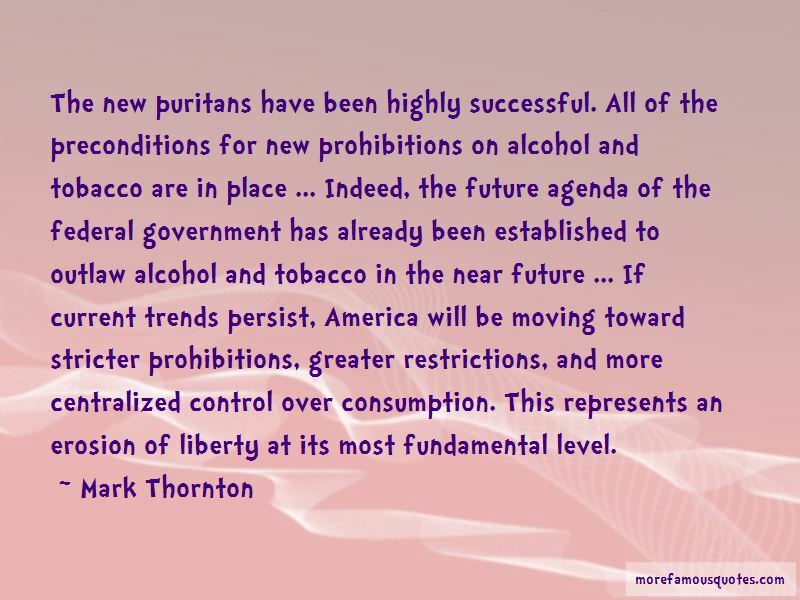 Click on image of Mark Thornton quotes to view full size. “Paul clearly sets forth the foundations of the Christian faith. All people are sinful; Christ died to forgive sin; we are made right” — Anonymous.